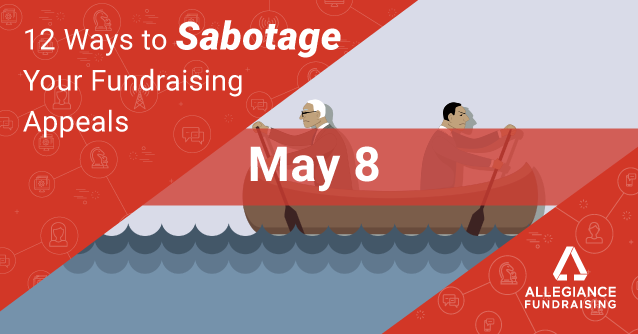 Most organizations don’t set out to sabotage their fundraising appeals, but they are doing just that through lack of knowledge, or lack of resources. Trying to save postage by sending only one renewal notice is a losing strategy, not a winning one. Yes, you’ll save postage, but you’ll reduce your income significantly. Join us on May 8 to learn some of the other ways you may be reducing your fundraising effectiveness.